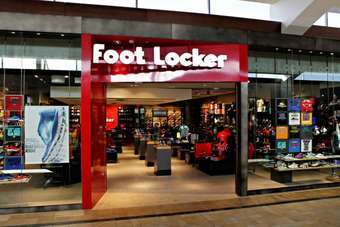 US specialty athletic retailer Foot Locker has seen its third-quarter profit edge down 1.9%, after higher costs offset an increase in sales. Selling, general and administrative expenses rose 6.6% to $340m during the three months to 2 November, compared to $319m in the same period last year. Excluding the effect of foreign currency fluctuations and Runners Point Group, Foot Locker saw total sales increase by 1.3%. "It took a strong team effort to produce the solid top and bottom line results that we are reporting this morning," said chairman and CEO Ken Hicks. "We have many strategies underway to drive our business, and the advances we have achieved are contributing to the current momentum we have towards reaching our long-range operational and financial goals. While the company still has progress to make on its existing initiatives, Hicks said it is continuing to identify new opportunities and develop ideas further to leverage its strengths and build a stronger business. "Some of these ideas deliver immediate impact, some will help improve results in the next several quarters, and yet others have the potential to drive our performance over the longer term."